– Because recycling systemsfor other polymers doesn’t work for reinforced PVC, the most common banner media. 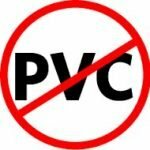 PVC has been called the “poison plastic” by environmental groups due to the environmental effect of production, use and disposal. – PVC banners are a mixed waste of vinyl film and polyester scrim. – Most banners containgrommet, which must be removed at a high cost. 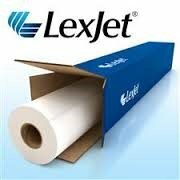 One media supplier,LexJet has even created a fully integrated recycling process that includes a buyer of the waste. 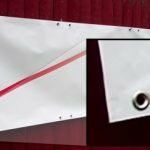 Banner Ups products are a system of pressure sensitive adhesive banner finishing that eliminates the need for grommets. 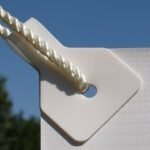 – Banner Ups are stronger and much more resistant to tearing out than grommets. – When tabs are combined with Banner Ups PowerTape hem reinforcing tape, banners can be made extremely strong. 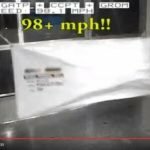 Wind tunnel tests have shown Banner Ups banners can withstand winds up to 90+mph. – Banner Ups has now introduced the BravoBanner automated banner finishing machine that can automatically finish high banner volumes at a low cost. – Buy print from a BravoBanner-ready printer who can finish recyclable banners in high volumes at a low cost. 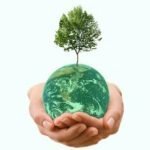 – Achieve their sustainability goals. 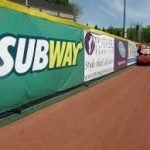 Banner recycling on a large scale is now possible due to new technologies. For more information please contact Rick Hatton – President, El. L. Hatton Sales / Banner Ups.